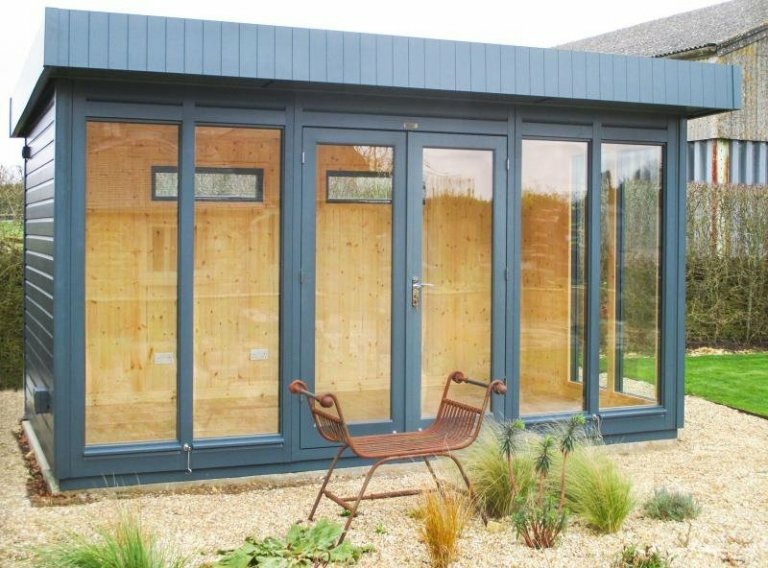 This large Salthouse Studio is 2.4 x 4.2m in size, and it has been installed in our customer’s garden in Cheltenham, Gloucestershire to use as an office to run their business from. The customer chose to have a heavy duty floor in their office, which is ex 38mm thick, as opposed to the standard ex 19mm thick flooring, to help support the heavy storage items they will be keeping inside. 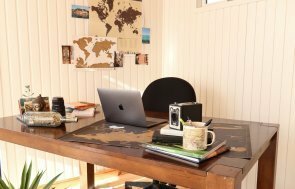 As well as the heavy duty floor, the customer also chose to have an electric pack, and the Salthouse comes with full insulation, double glazing, and natural matchboard lining as standard, so they will be able use their office all through the year. The Salthouse is a modern style building with a pent roof, roof overhang, and the whole of the front side is made of window and door panels with full-length glass in them. Heavy duty felt has been used to protect the roof, and the paint colour the customer chose is Slate from our Valtti Paint Range. 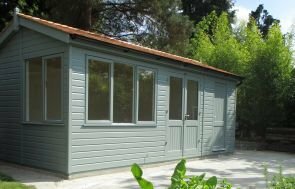 For more information on our range of Garden Studios, please call us on 01760 444229, or come and visit one of our Show Centres across the country to see our display buildings for yourself.